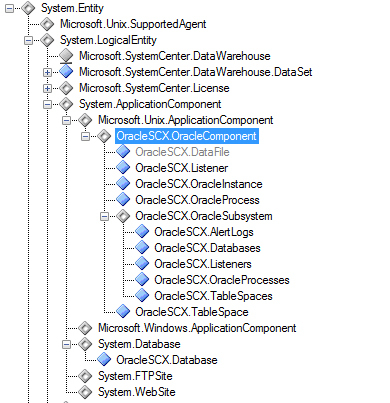 Continuing on with the development of a management pack for monitoring Oracle database servers on a UNIX/Linux platform (part 1, part 2), I will describe in this post some of the characteristics and methodology of the class structure and object discoveries. 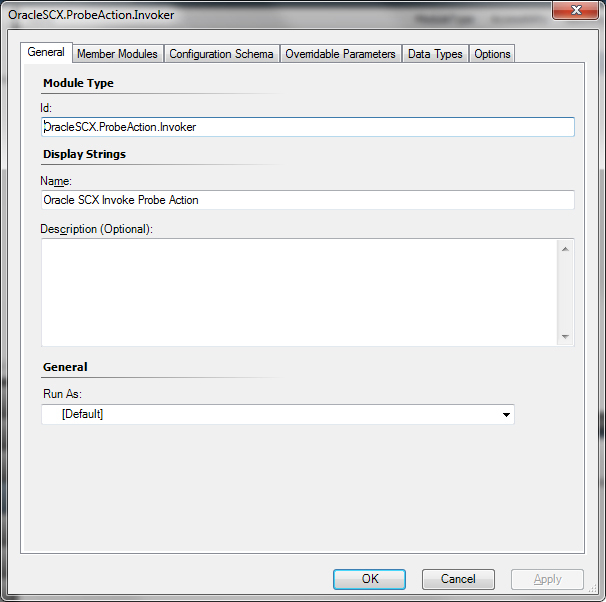 In the first of my posts regarding development of an UNIX/Linux Cross-Platform management pack for monitoring of Oracle, I described the creation of two custom probe action modules for WSMan Invoke Action and Shell Command Execution operations. 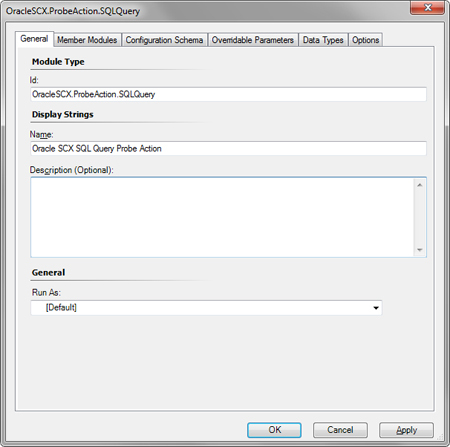 In this post, I will describe the creation of a third custom Probe Action for executing SQL queries locally with sqlplus. It was a bit of a challenge to get this probe action functioning the way I had intended, but after some trial and error, it does seem to work quite nicely. The SQL Query probe action is really just a convenient wrapper for the previously discussed ShellCommand probe action. xSNMP Management Pack – Implements filtered discovery and monitoring of SNMP devices and interfaces that support the standard RFC1213 MIB, IF-MIB, and EtherLike-MIB. This management pack is the core of the xSNMP Suite and contains public datasources that are utilized in the other optional management packs. xSNMP Overrides Management Pack – This unsealed management pack can be used as a container for overrides, but also provides preconfigured groups and overrides for easily controlling interface monitoring through groups of network interfaces. xSNMP APC Managment Pack – Implements monitoring for APC Rackmount PDU, UPS, Automatic Transfer Switch, and Environmental Monitor devices. xSNMP Brocade Management Pack – Implements chassis monitoring for Brocade Fibre-Channel switch devices (Fibre-Channel ports are monitored as network interfaces with the xSNMP MP). xSNMP Check Point Secure Platform Management Pack – Implements module health and firewall HA failover monitoring for Check Point Secure Platform firewall devices. xSNMP Cisco Management Pack – Implements additional monitoring for Cisco devices, primarily including chassis hardware moniotring for devices that support the EnvMon MIB, Entity-MB, or Cisco-Stack MIB. xSNMP Data Domain Management Pack – Implements monitoring for the performance, hardware status, and replication status of Data Domain Restorer storage appliances. 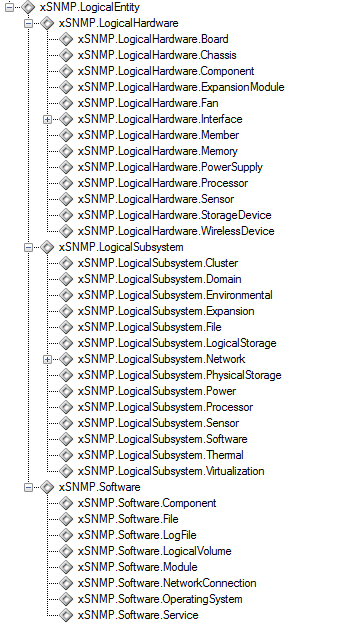 xSNMP HP ProCurve Management Pack – Implements component health monitoring for HP ProCurve switches and wireless access points. xSNMP HP Proliant Management Pack – Implements hardware health monitoring for SNMP-enabled HP servers that support the Proliant Insight Management Agents. xSNMP Net-SNMP Management Pack – Implements operating system monitoring for Net-SNMP agent devices, such as UNIX/Linux servers through the UCD and Host-Resources MIBs. 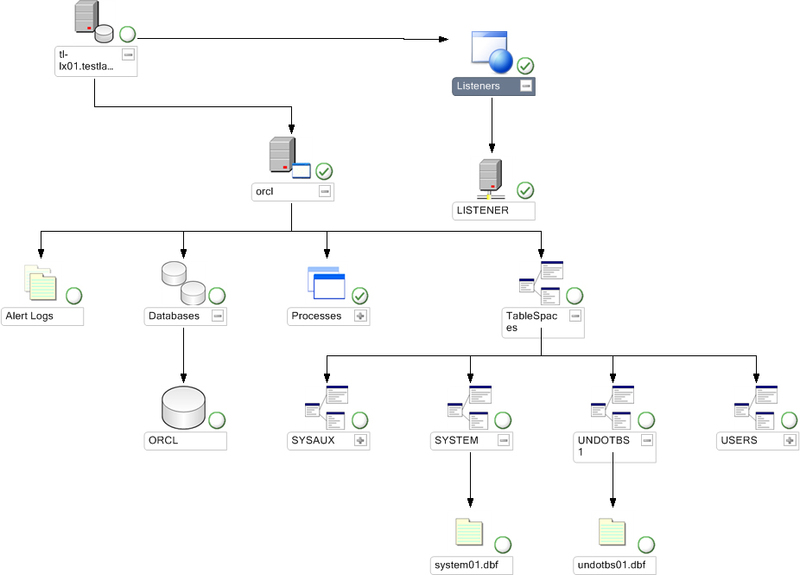 xSNMP Syslog Management Pack – Provides warning and critical alert generating rules that can be enabled and filtered with overrides to alert on incoming syslog messages from discovered SNMP devices. I greatly appreciate the testing carried out by the volunteer pilot testers, as well as all of the feedback from those who have tested the xSNMP MP’s, but I specifically want to thank Chris L. for all of his assistance in every stage of the development of the NetScreen MP, as well as Raphael Burri for all of his help in designing the organizational improvements in the xSNMP MP. The updated xSNMP Suite can be downloaded here. Note: One impact of the reorganization in the xSNMP MP is that direct upgrade from previous versions is not possible and the xSNMP MP’s must be removed prior to importing the new version. To assist in this regard, I have provided a PowerShell script which can be used to automate the upgrade process and preserve configured overrides (in most cases). The prerequisites and procedures for upgrading are covered in detail in the Upgrading_xSNMP_To_1.1.0 document that is included in the download package. Over a series of future posts, I intend to describe my efforts to build an OpsMgr SCX Management Pack for monitoring of Oracle running on UNIX/Linux platforms. In this initial post, I will describe the first step in building this MP: creating a custom shell command invoker probe action. As I had described in this previous post, the Microsoft.Unix.WSMan.Invoke.Probe in the Microsoft Unix Library MP provides a wrapped version of the Microsoft.SystemCenter.WSManagement.Invoker. However, I wanted a bit more granular control of the invoke action (e.g. modifying the command timeout) and felt it appropriate to create a custom Probe Action to wrap the Microsoft.SystemCenter.WSManagement.Invoker module and decided to create a similar, but custom probe action.